To register for the conference, please download this form [Word doc] and send it with your detail as soon as possible to the address specified on the form. Cork is served by Cork Airport, which has several flights a day to and from Britain and continental Europe. Cork Airport is located around 6.5 km away from University College Cork and 7.5 km from the city centre. For people travelling from outside of Europe, or for when there is no direct flight available, Cork airport is well connected with Dublin by train and bus, Shannon by bus, Belfast by train and bus, and Britain (particularly London) by air. A number of hotels are all in immediate proximity of the university campus, while others are located in Cork City centre. Bed&Breakfast and Guest Houses facing the university’s main campus offer guestrooms equipped with all facilities and welcoming atmosphere. Please note that these accommodation options are offered as suggestions only, and that we are not in a position to comment on the level of service provided. Please note that the Cork Film Festival is due to take place at the same time of the Conference. It is advisable to book your accommodation well in advance, as the city will be very busy during the Festival. The Cork Film Festival will take place in the city on 10–19 November 2017. The programme will be published in October here. 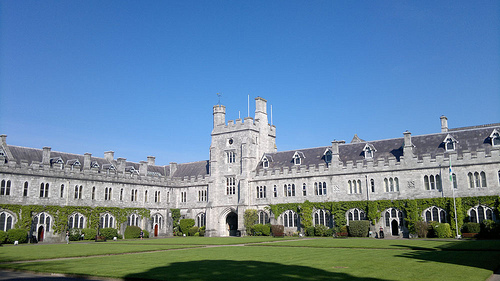 Established in 1845, University College Cork is one of the premier research institutions in Ireland. UCC is located in the western part of Cork city, 1 km from the city ce ntre. The main parts of UCC’s campus are along Western Road and College Road. The conference will take place in the O’Rahilly Building, on UCC’s main campus. ORB, O’Rahilly Building, UCC. Photograph by Tomas Tyner,UCC.